The influx of Albertans into Canada’s most active real estate markets is helping drive home prices to new heights, according to a recent report by Royal LePage. “For the first time in many years, we are witnessing an out-migration trend in [Alberta], as economic conditions and employment prospects dim,” Royal LePage president Phil Soper stated in the report, as quoted by HuffPost Business Canada. 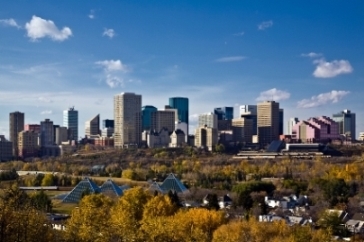 Alberta’s economy, among the hardest hit by the global oil shock, has played host to one of the country’s weakest housing markets over the past few years, despite the overall positive outlook for Canadian real estate. “[There are] extreme regional disparities of the kind we haven't seen in over a decade,” Soper said, alluding to the central role that Vancouver and Toronto play together in propping up the sector. “We expect British Columbia, followed by Ontario, to be the top recipients of new household inflows in the coming year, which will further fuel housing demand and price appreciation in Greater Vancouver and the GTA,” he added. Apart from the increasing number of Albertan migrants, other factors like a weak Canadian dollar, greater foreign investment, and rock-bottom interest rates are working in concert to stimulate further price increases, according to Royal LePage. The national aggregate price of a Canadian home spiked upwards by 7.9 per cent on the first quarter of 2016 on a year-over-year basis, up to $512,621. This growth was spurred mainly by the two-storey (up 9.2 per cent to $629,177), bungalow (up 6.8 per cent to $426,216), and condominium (up 4 per cent to $344,491) sectors, Royal LePage announced in its report.